This weekend, the radical Islamic group ISIS released a new video, showing what appeared to be the execution of 25 men by a group of boys. 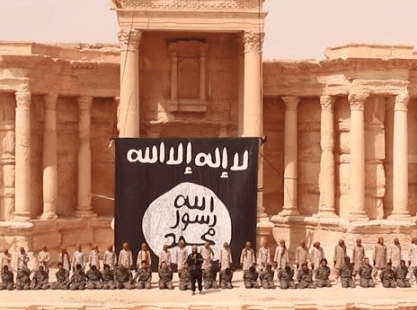 According to the Syrian Observatory for Human Rights, ISIS gathered a large crowd at the ancient amphitheater in Plamyra and executed the individuals who had been accused of being part of the Syrian government’s forces. Last week, ISIS also released a statement saying it had intentionally destroyed several artifacts from the 2,000-year-old UNESCO World Heritage site.